So, it’s that time of the month/quarter/year again. You have to present your results to your client or boss. SEO can be difficult to explain, but being able to summarize all of the different activities and their effect on organic traffic and rankings with specific numbers to back it up can be even more challenging. That’s where SEO visualization comes into play. If you’re anything like me, you will probably summarize your numbers in a presentation, take a screenshot from Google Analytics, add some Excel examples of rankings and search volumes taken from one of the different ranking tools, search console or AdWords, add some future plans, and call it a day. Pretty standard practice but not the easiest to do. However, what if there was a way to mash up all of that data together and visualize it in a way that’s accessible to your clients and managers? There is: SEO visualization! Although not the common practice for us SEO Managers, SEO visualization should be an inherent part of the way you present your results. More importantly, it is a tool that will help you and your clients reach your targets. 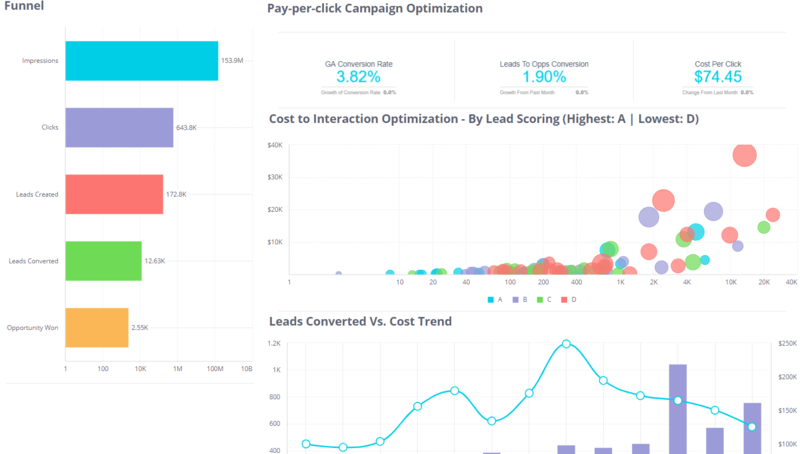 With all of the different platforms that come into play in the optimization process, being able to connect at least some of them to one visual representation or dashboard will save you a lot of precious time and will allow you to reach insights you would otherwise be “blind” to. For instance, by using a BI tool or even Excel, you can find out things like how much money a certain organic landing page generated for your company or client. This will allow you to focus your efforts on the more “lucrative” pages and keywords, instead of the ones with the highest search volume. This type of information can usually be gathered by combining Google Analytics and CRM data, but as these are two separate platforms that don’t always play nice, SEO Managers are often left looking at them separately. A BI software, on the other hand, allows you to mash the two together and gain access to many more insights. Images speak louder than words or numbers, and a strong visualization will carry the message much clearer to a client who isn’t necessarily familiar with SEO lingo and only cares about results. * Although in the example above it looks like you’ll be in trouble either way and a visualization cannot save you there. It’s almost impossible to create the perfect presentation with all the data segmentations in the world. And, of course, your client or boss will always inevitably ask you for the one piece of information you don’t have. We’ve all been there and there’s nothing worse than putting the effort into a presentation only to be judged on something you left out. A BI tool can save you from that uncomfortable moment and make sure the focus is on the results. How? You can filter the visualization in real time by whatever parameter your client or boss might request, allowing them to see the information materialize in front of their eyes. Using a data visualization tool makes sure you always have all of your data just a few clicks away. As there are a lot of different elements that affect organic traffic, it is sometimes difficult connecting all the dots during the optimization process. What can be even harder at times is explaining that process to your manager or client. Using SEO visualization, however, allows you to connect the dots and find out whether a new link earned had an effect on traffic and rankings if PPC traffic is performing better than organic traffic, and which keywords created leads that turned into actual sales. We all get caught in our day to day workload and the pressure of reaching our targets, but sometimes it is crucial to lift our head out of the water and see the big picture. SEO Visualizations allow us to do just that. Taking multiple sets of data, mashing them together, and uncovering BI insights is an underutilized tool in our world and there are a lot of hidden pieces of information that can help each of us improve organic traffic and conversions. 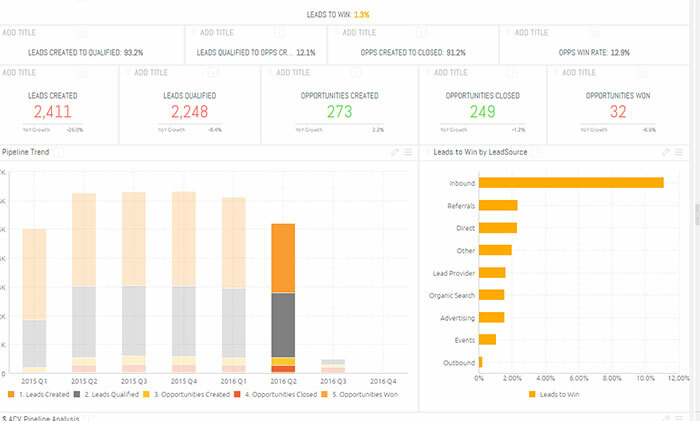 Visualizing your data and results, whether it’s done via a BI tool or in a more DIY way, will help you get to more insights and allow you to present those insights and results in a user-friendly and clear way.